History - ZUNIGA BROTHERS PRECISION MECHANICS S.A.
Our origins are back to the 1950’s. When the founder of the company, José Luis Zuniga bristles, began as an assistant in industrial companies in Cartago City. While he was studied at the vocational Arts and Crafts High School (COVAO). With experience and been working at precision mechanics workshop, José Luis travel to San Isidro de El General, in search of new horizons. Always with the support and assistance of Héctor Zúñiga, his brother. The early years were limited because in Pérez Zeledón industry was not developed. But in the following years, they were marked by important events such as the creation of industrial companies as Coopeagri R.L. and PINDECO. Initially, José Luis Zúñiga has the opportunity of bidding for the purchase of machinery which belonged to the electric company of the General, which supplied electricity to the locals, until, started the Instituto Costarricense de Electricidad (ICE) at Pérez Zeledón. At that time, they begin to have big clients such as; the sugar mill company, coffee companies, pineapple company and so on. A new opportunity allowed him to buy a land where the workshop is currently located, which is in front of Gafeso. Old Hospital neighborhood, San Isidro de El General. MEPREZUH is a company with 65 years of experience in metal work, mechanical precision, machinery and materials needed to meet the industrial demand of industrial enterprises and other workshops. It is a flourishing business that it is ensuring continuity for the following decades, of the descendants of its founder. His son, Marvin Zúñiga Vega, also graduate of the COVAO, has come to promote the technical development of the company from the hand with productivity. The company as grow as a reference in very technical and special works. His technique and desire to grow have become the best benefit of the corporation. Today, the Chief of the workshop has had the opportunity to receive technical training both nationally and internationally. Thanks to investment in latest technology machinery, Marvin has been commissioned to find the best machines and great opportunity to participate in the technical training with the manufacturers of machines abroad. Also, Marvin is responsible for visits customers and monitor projects. This allows him to learn and have continuous improvement. He receives works and listens to the all the problems that customers have. Marvin, it is now a professional on a technical matter. He is the maintainer of that manufactured with the best precision and quality and always with absolute ingenuity to improve those technical solutions. He is a vital piece for the industry as well as his wits in designs and solutions. Marvin’s son Ariel Zúñiga Rojas. Since his childhood, he was persecuting his grandfather and father. His studies at the Technical High School of San Isidro, allowed him to learn in precision mechanics. When he fished his studies, Ariel decides to go a step further and troops abroad in search of opportunities. He reaches a small village in the North of Spain called Eibar, he begins studying a modality called “Industrial Mechatronics” in Heraldry Eskola. Today, five years later, Ariel follows his dreams and is completing studies of mechanical engineering – a version of technical studies in the school of engineering of Bilbao. 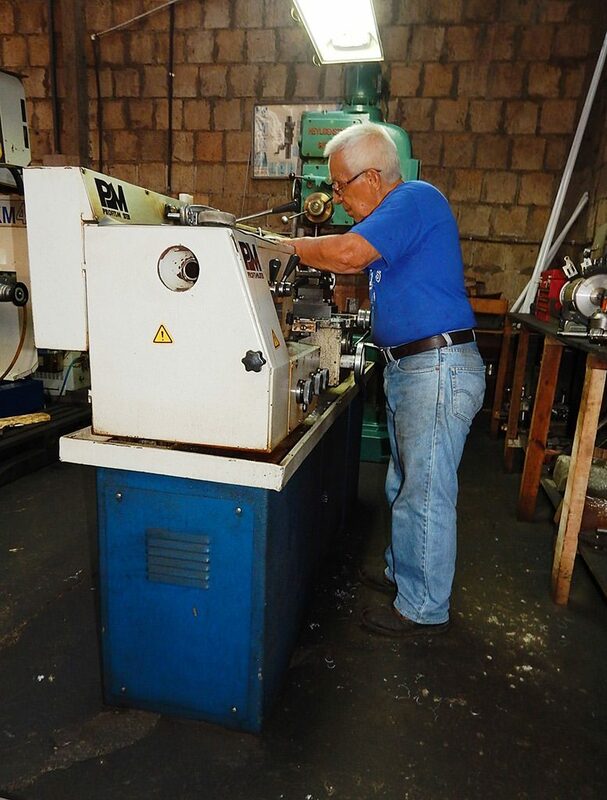 From José Luis, the company inherits conventional precision mechanics; From his son Marvin, he incorporated CNC (computerized numerical Control) and from his grandchild Ariel, the engineering of the future, which needed to give impulse and maintenance to industrial developments that are flourishing, in the southeast of Costa Rica.